Since the big move, I’ve lost the ability to belong to and regularly use a gym. Because we are no longer using daycare, I spend my days with my kids. I’ve learned why it’s so hard for moms – working moms AND stay at home moms – to find time for fitness. I’ve also found that there are times during the day that I can squeeze in time for myself, and why that can still be hard to use for exercise. It doesn’t have to be that way…during those times – nap times, quiet times, kids are playing contentedly times – finding a way to improve your health is a great idea. It doesn’t have to be complicated or involve expensive equipment. 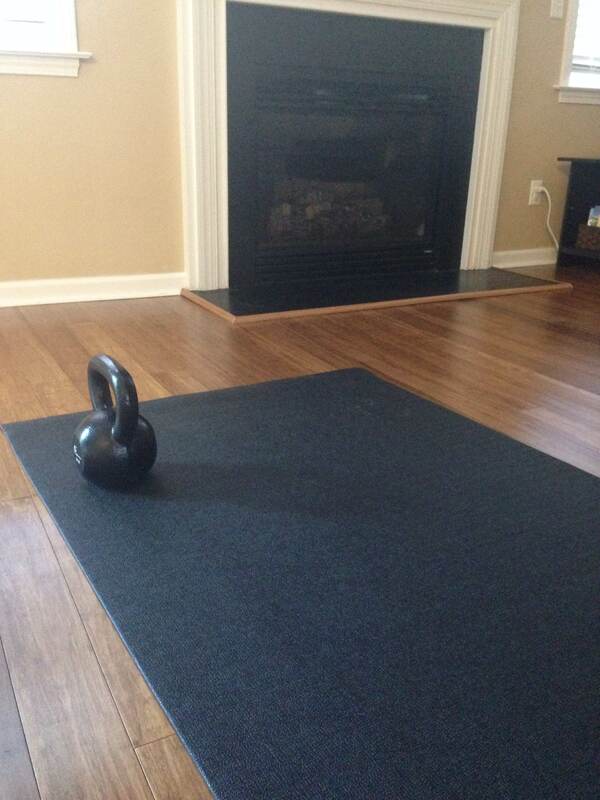 Check out this 10×10 that takes a mat (if you’d like to use one), a stopwatch and a kettlebell. Don’t have one? Mix in your own exercises. Do 10 reps of each move, 10 sets. Take time between sets and modify the numbers to fit your own pace. 2. Reverse in-place lunges holding the kettlebell to your chest. 4. Squats, holding the kettlebell to your chest. 6. Kettlebell Squat, Catch and Lifts.